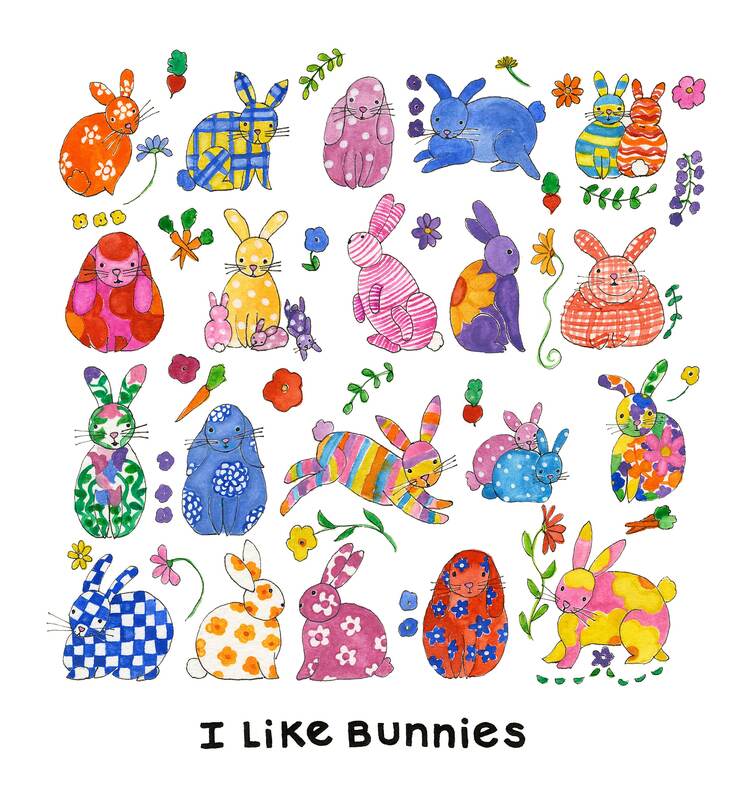 I Like Bunnies archival quality print on matte finish photo paper from high resolution scan of original watercolor illustration. Happy print featuring bunnies and flowers, plaid bunnies, polka dot bunnies and checkered bunnies. Print is 12x12, image appx 11x11. If interested in a different size, send a note.